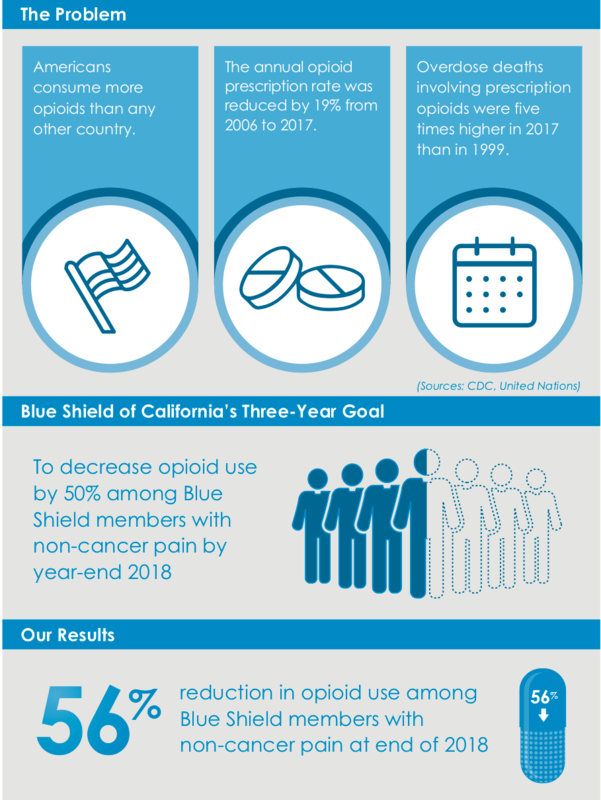 SAN FRANCISCO (March 13, 2019) – Blue Shield of California’s Narcotic Safety Initiative results show a 56 percent reduction in overall opioid use by members with chronic, non-cancer pain compared to 2014, exceeding the nonprofit health plan’s year-end 2018 goal by 6 percentage points. According to the Centers for Disease Control (CDC), 46 people die every day from overdoses involving prescription opioids. The average daily dose among chronic users fell by 33 percent. The number of members on the highest doses of opioids fell by more than 60 percent. 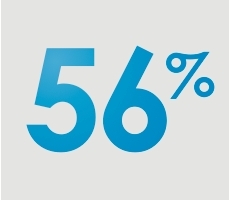 The percent of members taking the most dangerous combination of opioid and a benzodiazepine fell by 24 percent. Prescriber education programs that promote prudent prescribing and proactive management of opioids by medical prescribers. Access to high quality programs and providers for health plan members to help manage chronic pain and opioid use disorder. Improved formulary access to medication-assisted treatments for treatment of opioid use disorder. Enhanced detection and management of fraud, waste and abuse. Though opioid prescriptions have been on a steady decline over the past several years, deaths involving prescription opioids were five times higher in 2017 than in 1999, according to the CDC. Blue Shield remains committed to reducing opioid use and will continue work to combat the epidemic.